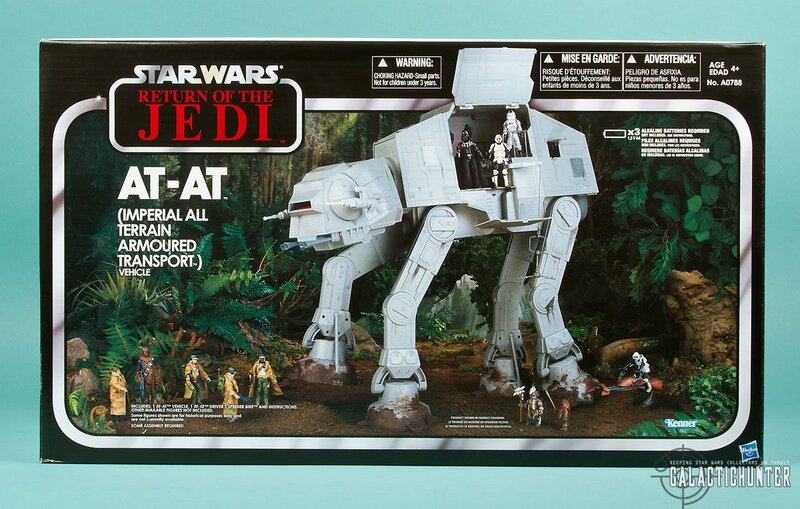 The 2010 AT-AT was released to much fanfare and acclaim for its larger size, cool electronic action features, and movie inspired playability that outshone the older and oft used Kenner mold. 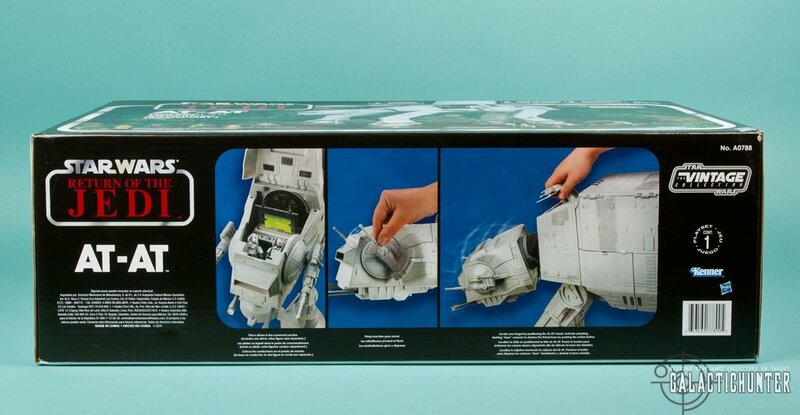 A ToysRUs exclusive Vintage Collection Empire Strikes Back packaged version was also released during the holiday season of that year, and quickly sold out at a $110 pricepoint. 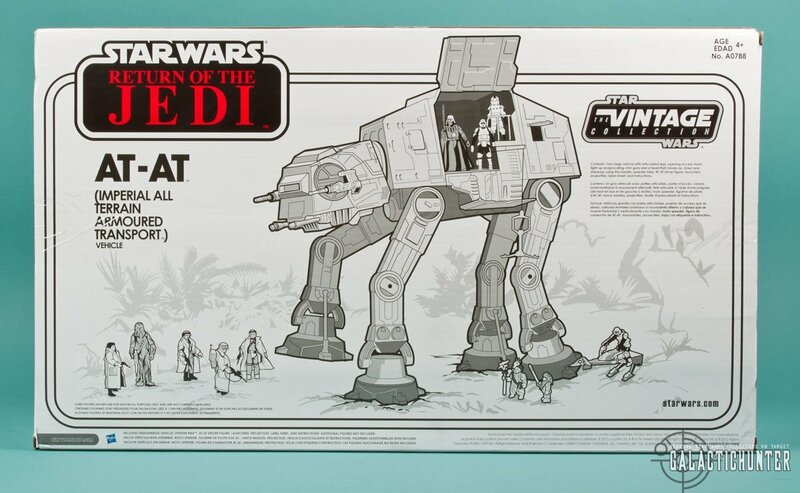 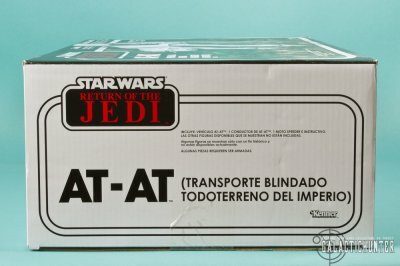 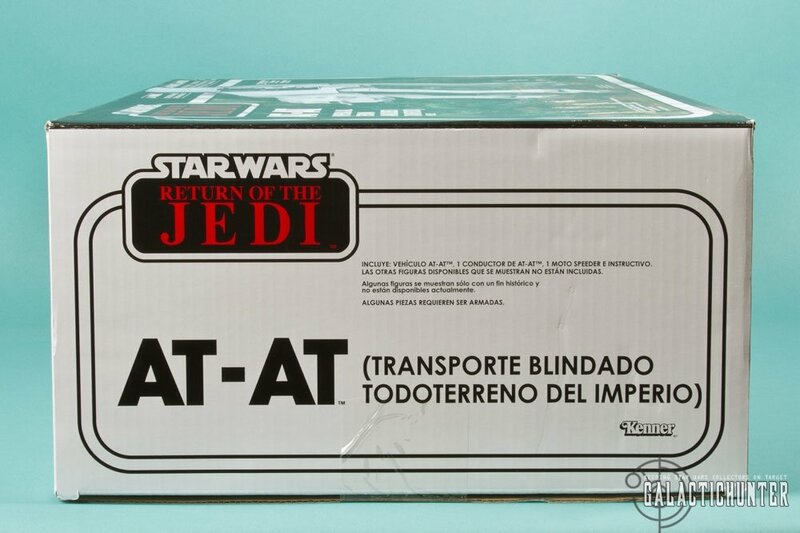 Fast forward in 2012 and Hasbro revisits the Imperial Walker but updates the deco for a Return of the Jedi Endor version and specially packages it Vintage Collection style once again for ToysRUs. 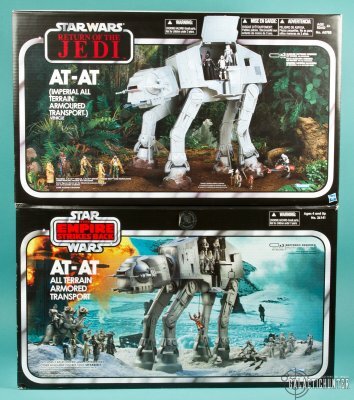 Variations from the Hoth release include mud deco on the feet, an AT-AT Driver with black gloves and boots, and a brown colored speeder bike as opposed to the whiteness of the Hoth version. 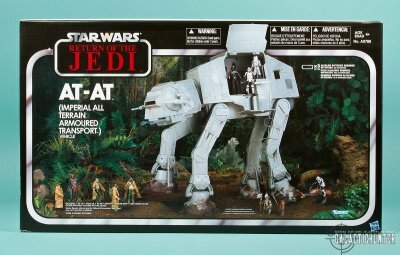 Hasbro announced that this was slated for an October release at Comic-Con, and while the Endor AT-AT was released at ToysRUs Canada (at a $149.99 CDN pricepoint), it has yet to show up on U.S. shelves for the holiday shopping season, raising speculation that it may have been bumped to next spring. 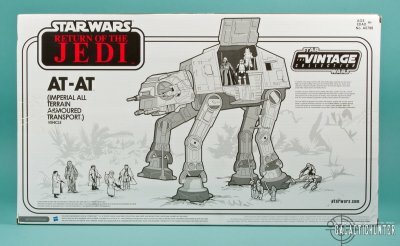 Why the bump? 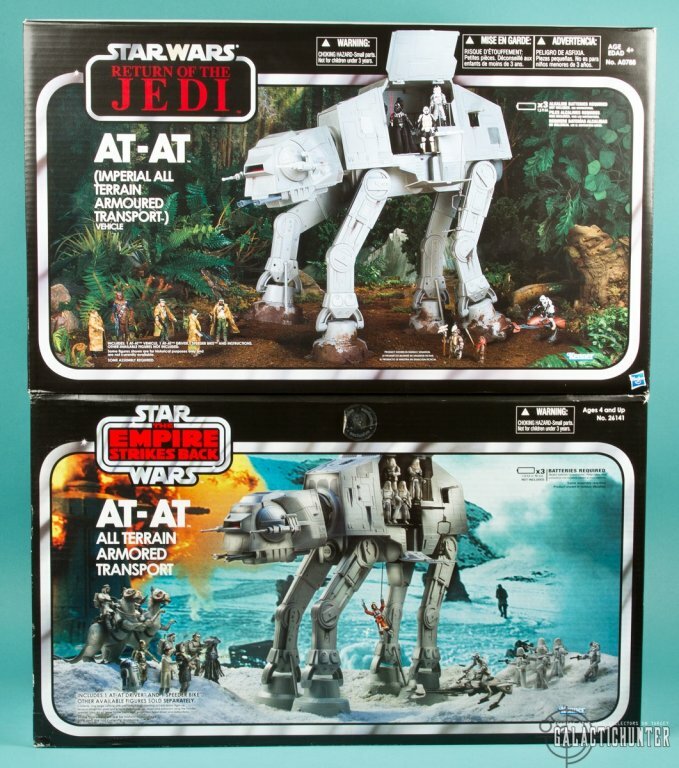 Perhaps TRU needed a spring exclusive, and with the blue boxed AT-AT readily available online and in stores and the Vintage BMF being the huge exclusive ship of the season for the retailer, it may not be a bad move. There's still a chance this may show up in the next few weeks, but it's looking more like it's been held back. 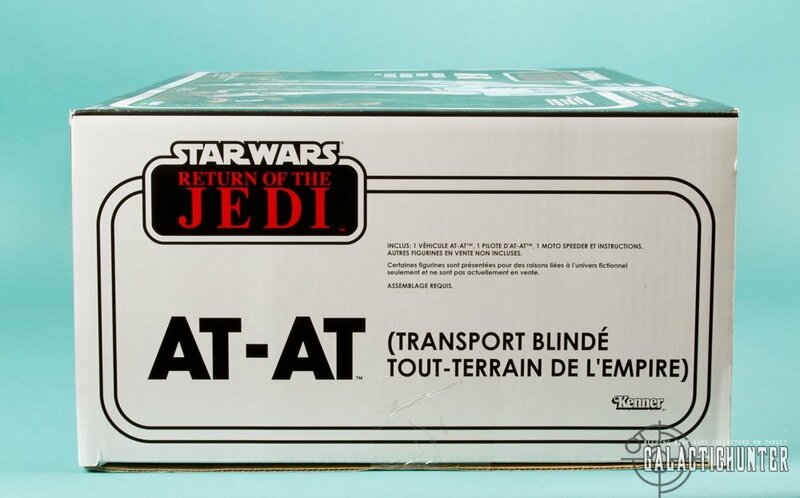 Being suckers for Vintage packaging and variants (and that old school Kenner line art), we were compelled to procure and photograph a Canadian tri-lingual sample for your perusal. Stay tuned for updates on Galactic Hunter once the U.S. release eventually begins shipping.